After a snowy day little “foot”prints showed up on the deck. So excited to share my joy with y’all! I placed 5th in the Contemporary Art Gallery All Women exhibit for February! My photo that placed was Bird, Beach and Clouds. 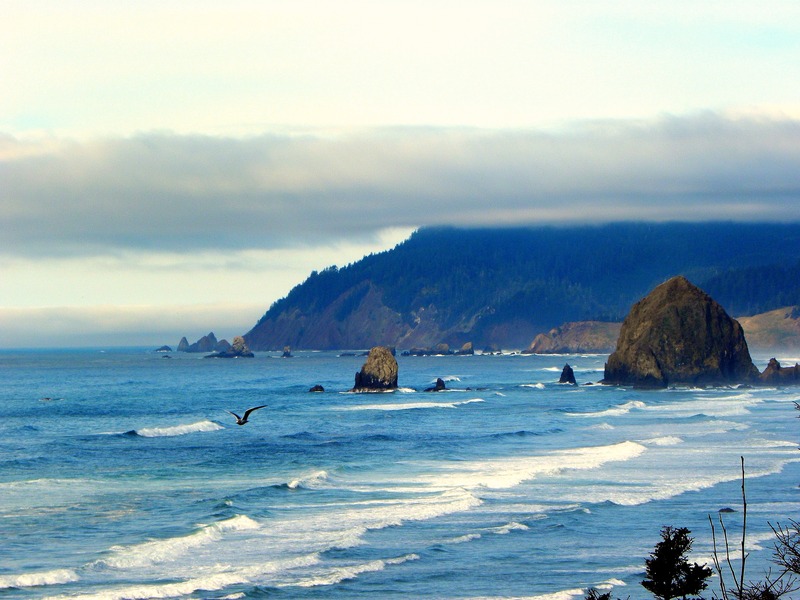 It was taken in Cannon Beach, Oregon of Haystack Rock back in November of 2010. It is one of my favorites – though most are my favorites….